The activities in the numerous public hospitals were disrupted on Monday, February 4, after nurses down their tools demanding better pay and allowances. Eleven counties were immensely affected following the move by the health practioners. The counties include: Nairobi, Kisumu, Nyeri, West Pokot, Taita Taveta, Kitui, Trans Nzoia, Elgeyo Marakwet, Wajir, Nyandarua and Kisii. Thousands of patients were stranded in hospitals and public health centers while some Kenyans decide to transfer their loved ones to other hospitals as nurses stayed away. The strike was called by the Kenya National Union of Nurses to press for the implementation of a collective bargain agreement signed on November 2, 2017 between the County governments, National government and the nurses. The health personnels are demanding an increase in allowance allocated to them that is yet to be implemented following the return to work formulae signed in 2017. 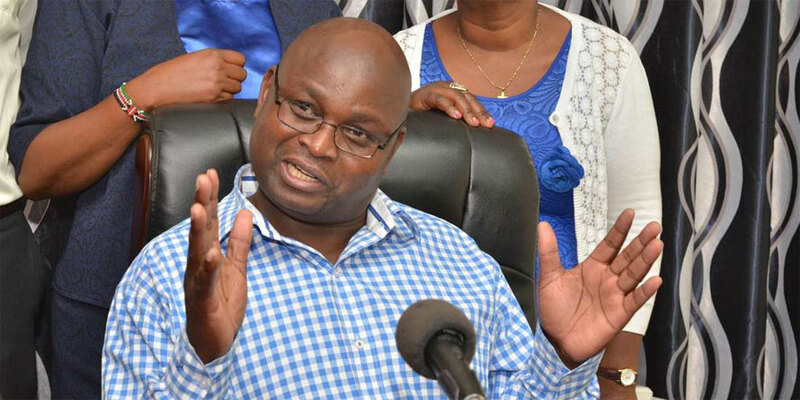 The nurse union Secretary General Seth Panyako disclosed that every nurse expected an increment of Kshs.3, 000 (USD$30) by the end of July last year and Kshs.3, 500 (USD$35) in 2019 and 2020. “According to this agreement, nurses were to receive an increment of Ksh.3, 000 in 2018 and additional Ksh.3,500 in 2019 and 2020,” reiterated Panyako. They are also demanding a salary increment of Kshs.5, 000 (USD$50) which caters for the uniform. Panyako castigated national and county governments for abandoning the agreement noting they have run out of patience. He also took a swipe at the Salaries and Remuneration Commission for treating nurses as semi-skilled wprkers despite the complexity of their duties. He called on the commission to revise their job evaluation structure. On Sunday 3, Labour Cabinet Secretary Ukur Yattani appointed a committee comprising of representatives from the nurses union, the Salaries and Remuneration Commission and the Council of Governors to address the nurses’ grievances. However, the nurses’ boss dismissed the move saying no more negotiation. “What we want is the implementation of the salary agreement and not new negotiations,” said Panyako. The country’s health sector was heavily affected in 2017 after nurses boycotted work for five months over better salary.